We are engaged in offering Multi Head Packing Systems. Our machines are popular for the longevity of their operations and other in-hand operations that come for completion at various other specifications and operations for the long run and high utility. 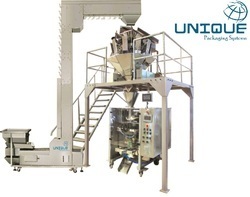 UNIQUE PACKAGING SYSTEMS offer Multihead Weighing Packing Machine for Kurkure and Potato Chips, Chiwda, Namkeen, Dry-Fruits, Grains. Highly suitable for Kurkure and Potato Chips, Chiwda, Namkeen, Dry-Fruits, Grains, Tea, Sugar, Seeds etc. 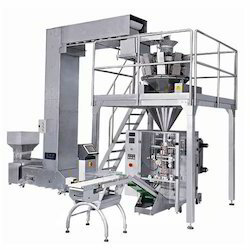 UNIQUE PACKAGING SYSTEMS offer supreme range of Multi Head Packing Systems, which are applicable for various types of materials. These are the best Multi Head Packing Systems available in the industry. We offer these in range of stainless steel to make them give superior performance over long periods.